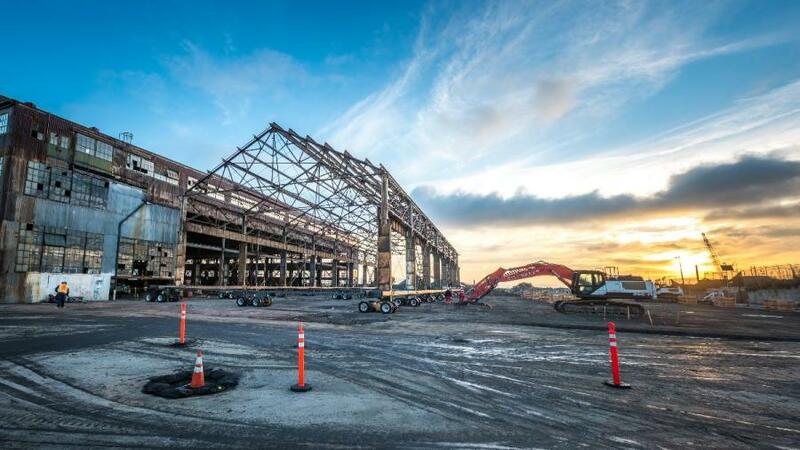 Mammoet recently completed the successful transport of a 192.5-ton steel building frame as part of the Pier 70 revitalization project in San Francisco. The building frame was moved to a temporary storage location, where it will be housed while the historic pier undergoes renovations. The building frame was jacked up about 7 in. 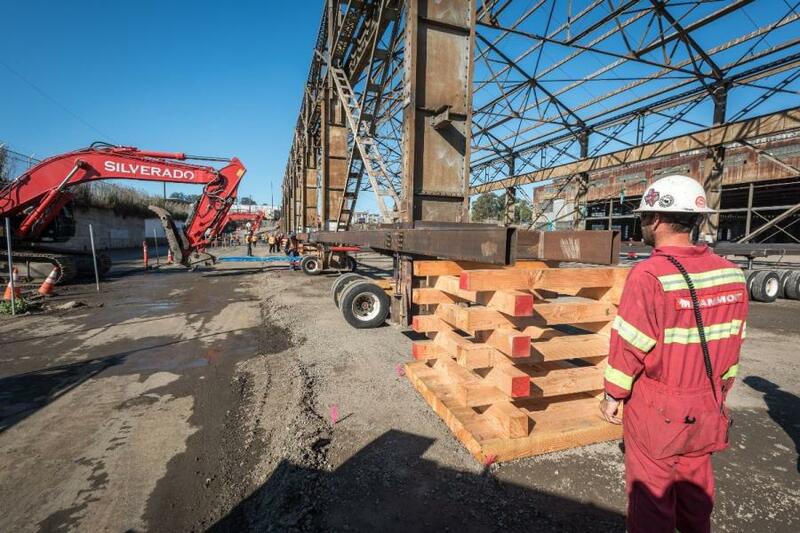 and then rolled 120 ft. using 16 Holland Dollies for the structure, six dollies for bracing and two excavators provided by Silverado Contractors Inc.
Once the pier renovations are complete, the building will be rolled back into position about 10 ft. higher, where the frame will become a decorative centerpiece for the new neighborhood. The renovated Pier 70 Waterfront Site will feature new affordable housing, waterfront parks, space for artists and local manufacturing, and rehabilitated historic buildings. According to Mammoet, it has the experience and heavy lifting and transport equipment necessary to carefully relocate whole buildings and structures that may lie in the path of new developments. In one such case, Unilever's new headquarters was successfully placed on top of the existing factory, without impacting operations below. For more information, visit mammoet.com.